[S87] Truman Bean [trumanbean@comcast.net], 4 Feb 2015. 1822 - Eli C. Bean born in Davidson County, NC. Parents unknown at this time. Between 1822-1840 - Eli C. Bean moved to Tennessee. Lawrance (or Lavrance) is listed as a female; no more records can be found for a Lawrance Bean. NOTE: John M. Bean believed to have married about 1859 (married 41 years on 1900 census). His daughter Mary E. Bean was born November 1859 in NC. About 1858-1859 - Eli returned to TN to live with his first wife but she wouldn't have him! He then returned to NC bringing his married son John and wife, his daughter Sarah, and his mother. As for the daughter Sarah who married a Right, who Eli brought back from TN: Possibly 14 year old Sarah Wright in the home of John Wright in Montgomery County, NC. Also in the home is her husband Charles (Nelson) Wright. NOTE: Mariah cannot be found in the 1860 census. In March 1862 Eli C. Bean, enlisted for the Civil War in Carthage, Moore County, N.C., so he moved to Montgomery between 1862 and 1870 when he appears on the Montgomery County census as did son, John M. Bean. 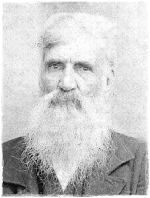 His son, John M. Bean enlisted for the Civil War March 1862 in Montgomery County, N.C. Living nearby is son John M. Bean. NOTE: George Kinnard is Mariah's brother; Sarah is George's daughter. Mariah is listed just after her son, Alexander Kinnard, and his family. Bean, Terry 45 Wife Farm laborer "
Bean, Jesse 8 Son "
NOTE: Eli's daughter Sarah Jane, who is married to Charles Nelson Wright, is living nearby. Mariah Bean, widowed, age 61, born about 1819 in TN, parents born in N.C.? Mary, daughter, single, age 18, born 1862. Washington is 12 yr. old Buchanan from 1870 above and should be 22 in 1880. Mariah is again listed just after her son, Alexandar Kanard, and his family. It is unclear why Mariah is listed as widowed. Bean, Terry, boarder, 63, NC NC NC inmate county home b. 1836 "
Son, John M. Bean, and wife Narcissa J. are in Jackson County, TN, in 1900. Mariah not found in 1900. Can't find Eli C. Bean in 1910 Census so he may have died before then. Son, John M. Bean is in Richmond County, NC, in 1910. J. M. Bean (Eli's son) died 27 February 1915 in Cumberland County, North Carolina of bronchial pneumonia. According to his death certificate he had a common school education. He was a widower. He was born 23 February 1841 in Putnam County, Tennessee, to Ely C. Bean and Matilda A. Kanard. Both parents were born in Putnam County, Tennessee. Burial was at the Butler Cemetery, Flea Hill Township. J. C. Daniels of Fayetteville, North Carolina, was the informant for the death certificate. NOTES: Putnam County wasn't formed until 1854 so birthplace should be Jackson County TN. Father Ely C. Bean birthplace of Putnam County, TN, is incorrect - should be born in NC as 1880 census record of John Bean shows and records of Eli Bean show. Mother, Matilda A. Kanard, should probably be Mariah Kinnaird. Informant for death certificate was the husband of John's granddaughter which could account for mistakes.